Colavecchio’s enterprise has been described by the Secret Service as the largest coin counterfeiting case in the department’s history. 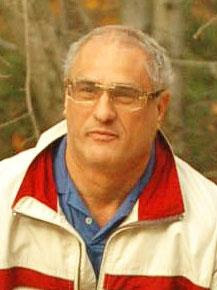 Louis 'The Coin' Colavecchio earned his nickname for the immense amount of counterfeit coins he created over the years. He was one of the first men to successfully produce counterfeit coins that could deceive the software inside slot machines into thinking they were real. He was able to win hundreds of thousands of dollars from casinos across Atlantic City and surrounding areas without ever having to wager any money of his own. During the counterfeiting process, Colavecchio was very meticulous about every detail that went on the coin. He was nervous the first time he went to Caesar’s Palace with the fake coin, but it worked flawlessly. Colavecchio was able to play the slots for hours. He made thousands of dollars a night doing this, all of which he used to maintain his prestigious lifestyle. Caesar’s took their annual coin inventory and noticed they had a surplus of $10 slot machine coins. They investigated, and that’s when they discovered that the extra coins were actually premium counterfeits. They sent word to all casinos in the area; Bally’s Park Place and Showboat Casinos checked for fake tokens and immediately found them. 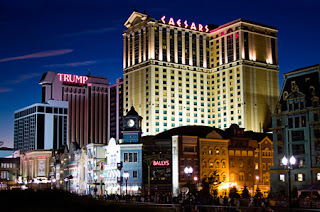 The security of Caesar’s Palace and all casinos in Atlantic City were on the lookout. When Colavecchio arrived the following weekend his behavior caught the attention of the guards. They watched him closely for hours, making a point to identify which machines he was using. Police opened up the machines, only to find an array of counterfeit coins. Soon after he was taken into custody. The police found 750 pounds of counterfeit coins stashed away in his car. 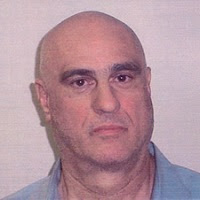 Casinos filed charges against Colavecchio, who agreed to tell them how he had made the tokens in exchange for a lighter sentence. He was sentenced to a total of seven years in prison. The Providence Journal reported that after he spent more than two years in federal prison, he was paid $18,000 by the feds as a consultant to explain why his manufacturing dies outlast those of the U.S. Mint. Nowadays, most casinos don’t even use coins for their slot machines. Most machines are electronic and work off of a reloadable card or paper vouchers that can later be transferred to currency. 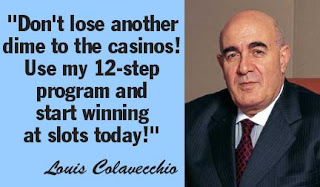 We can thank Louis “The Coin” Colavecchio.